Despite the fact that the city signed a contract with the gun rights member organization years ago and stands to make millions from the event, one local lawmaker wants the National Rifle Association to stay away in May. In a press conference Monday, Dallas Mayor Pro Tem Dwaine Caraway spoke out about the 147th NRA Annual Meetings and Exhibits planned for the Kay Bailey Hutchison Convention Center in three months. Caraway, a Democrat, issued statements that he was a Second Amendment supporter and said he was a gun owner with “one in every room of my house” but, citing last week’s school shooting in Parkland, Florida, argued the organization should find somewhere else to hold their annual convention. The NRA’s event, which is set to draw crowds of 80,000 and host over 800 exhibitors across acres of floor space, was announced as far back as 2012 in a deal that, according to the Charlotte Observer, saw the Dallas waive $414,000 in rental fees for the city-owned venue, which is expected to be offset by the influx of business associated with the meeting. Last year’s event in Atlanta came close to breaking the organization’s record, drawing 81,838 attendees. The largest? 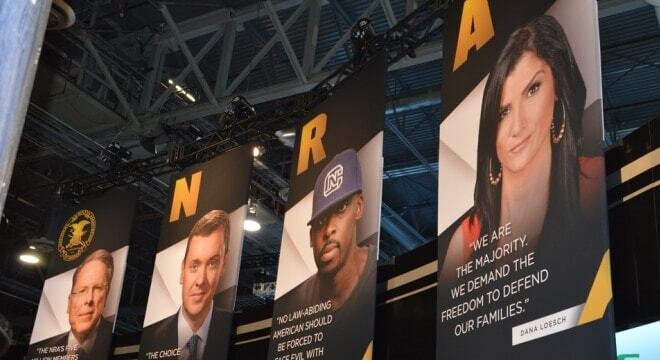 That came the last time the NRA was in the Lone Star State, in Houston in 2013, where over 86,000 attended. The thing is, the nation’s largest Second Amendment group argues they have never left the state. Some city leaders were quick to point out they do not stand with Caraway. Councilmember Jennifer Staubach Gates told D Magazine she was supportive of the NRA’s event, pointing to the estimated total economic impact of over $42 million. “This supports over 6,800 jobs in Dallas and provides over $3.3 million in local taxes,” she said. The take may very well be higher. The Atlanta Convention & Visitors Bureau estimated the four-day event held in that Georgia city last year would have an economic impact of nearly $60 million. Caraway, who last month was the subject of a piece in the Dallas Morning News examining his financial ties to a Louisiana businessman who recently plead guilty to bribery charges, has been a fixture in city politics for over a decade, holding spots on the council and as mayor for four months following the resignation of Mayor Tom Leppert.